Home / / Gambeson with straps, XL, special offer! 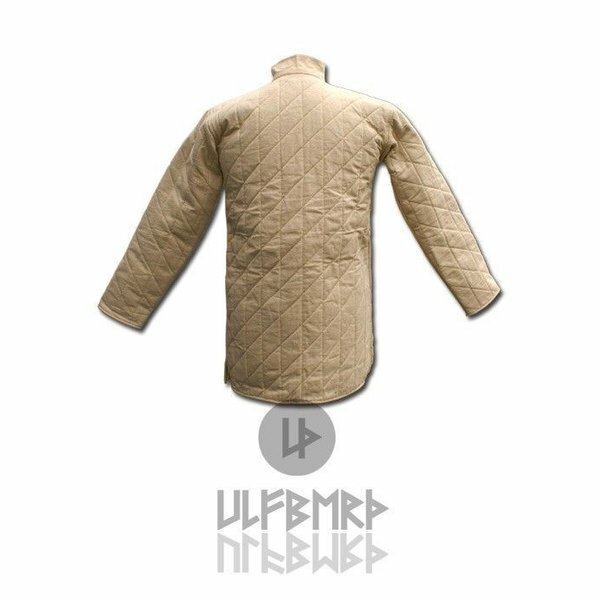 Sturdy gambeson based on late 14th and 15th century images. With wool padding and made of thick canvas. Good protection for re-enactment battles or full-contact fighting. Suitable to wear under the chain mail or plate armour. This gambeson is made for re-enactment battles and it can be worn underneath i.a. a suit of armour or a hauberk. It is made of two layers or wool, an exterior layer or sturdy canvas and a linen interior layer. This gambeson has a thickness of approx. 12 mm. 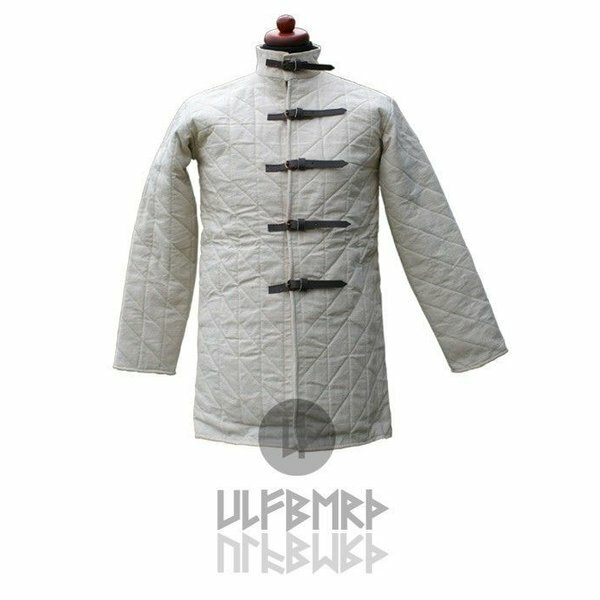 Gambeson with straps, XL, special offer!